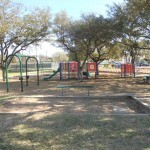 Since 2005, the Friends of Perry Park have been actively improving and maintaining the park through many projects. Some projects are undertaken by FOPP volunteers, while others were led be Eagle Scouts, Girl Scouts and the HPWBANA. 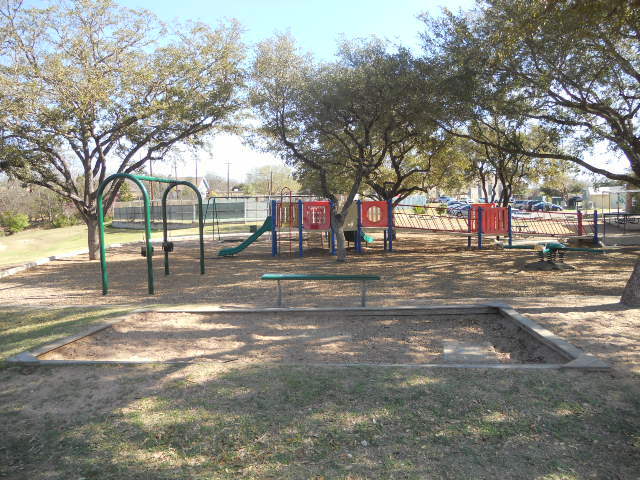 A special note of thanks goes to HPE PTA and families in the our community who have funded large projects at Perry Park such as play-scapes, the running track maintenance, tennis court resurfacing and soccer field improvements. We have lots of great community involvement at Perry Park. 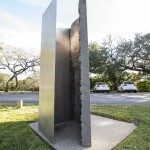 Upper Perry Park Art Park: This is an active project and details are provided on dedicated pages of this website. 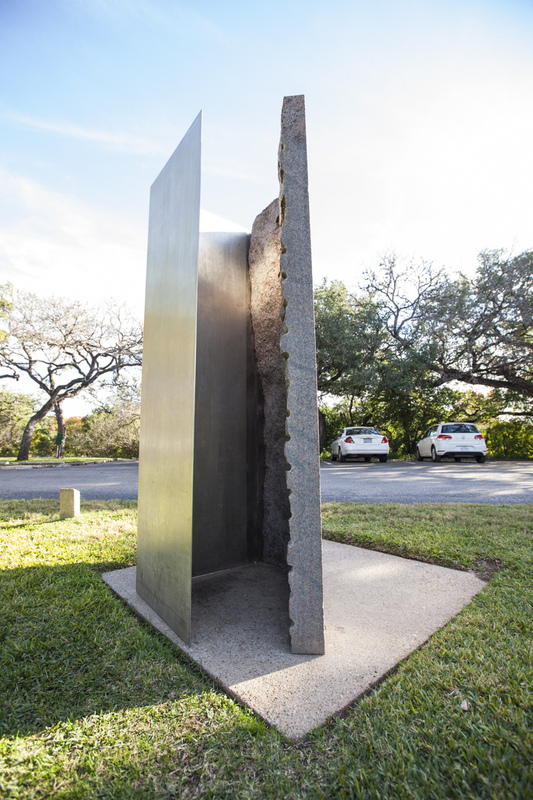 It consists of working with PARD and The Contemporary Austin/Laguna Gloria to create a sculpture park in the big field along Balcones Dr. One initial piece of sculpture and an access trail are completed, and FOPP are working to raise funds for adding two more sculptures in Phase 2. 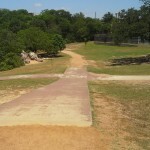 Nature Trail: This trail connects upper Perry Park to the park below. 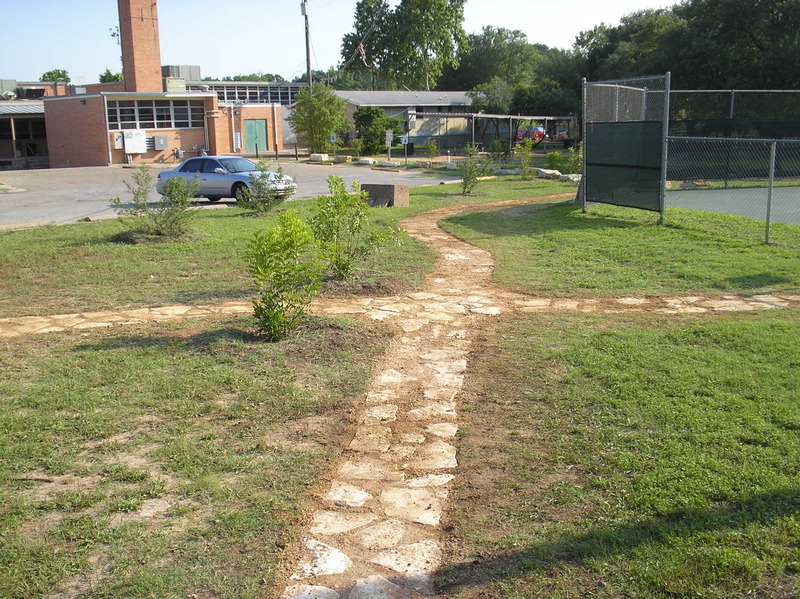 It also contains a nature trail put in by students of Highland Park Elementary many years ago. 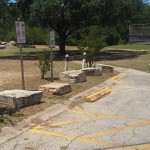 Look for the plant identification markers and the decomposed granite trail. We are engaging the youth in our community to help maintain this area as it is being taken over by an aggressive vine. HPWBANA funds some materials for this project. 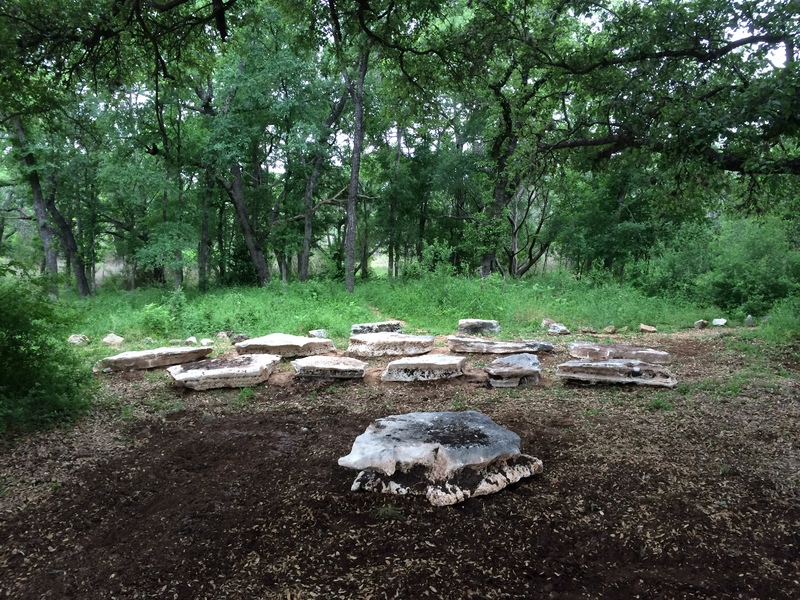 Learning Circle: In the spring of 2014 Girl Scout Troop 1510 completed a service project to create a permanent learning circle in the clearing beneath the large oak trees. This replaced earlier learning centers made from wood that just didn’t weather well. The Learning Circle can hold an entire class from Highland Park Elementary. Funding came from HPE PTA, HPWBANA and GS Troop 1510. 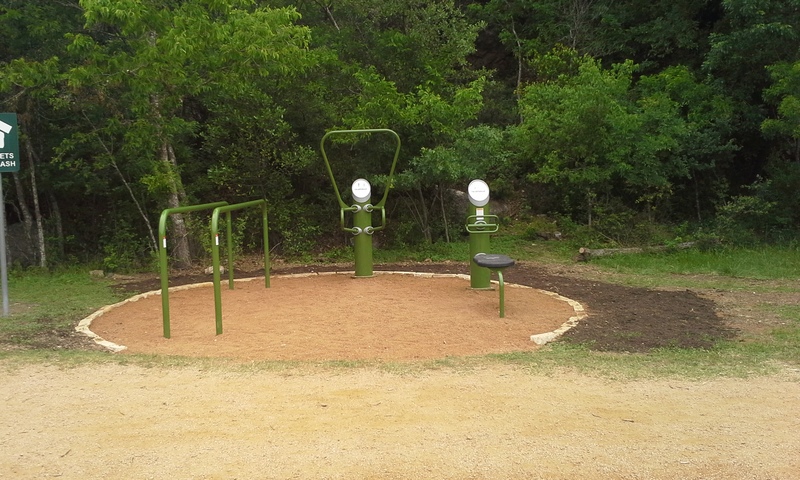 Fitness Stations: In the spring of 2014 two fitness stations were installed along the running track. One station has assisted row equipment. 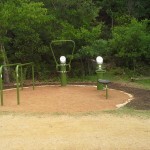 The other station has a sit up bench, parallel bars and pull up/dip bars. 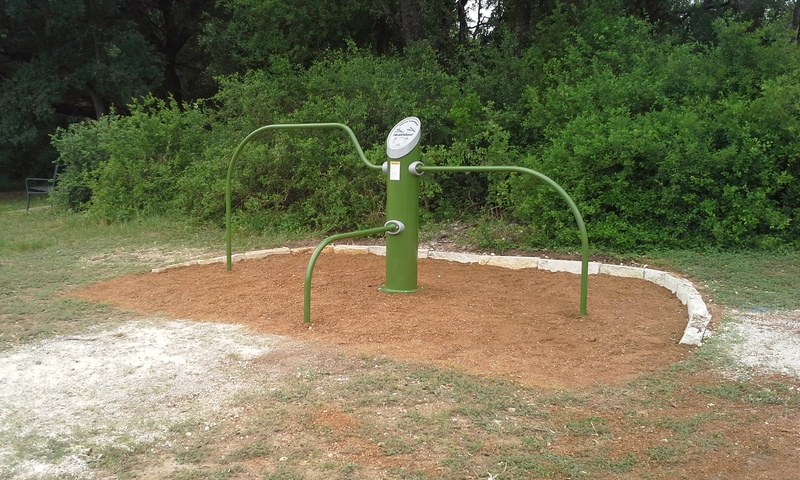 Friends of Perry Park was awarded a grant from Austin Parks Foundation for the fitness stations, and matching funds came from HPWBANA. Friends of Perry Park also matched the grant with over 540 volunteer hours from various groups helping out at Perry over several months. Proposed Project: Lower Quarry Tree Protection: The small grove of trees deep in the quarry around the running track are being trampled as kids cut the track. We are proposing some kind of barrier to protect the root zones of these trees. 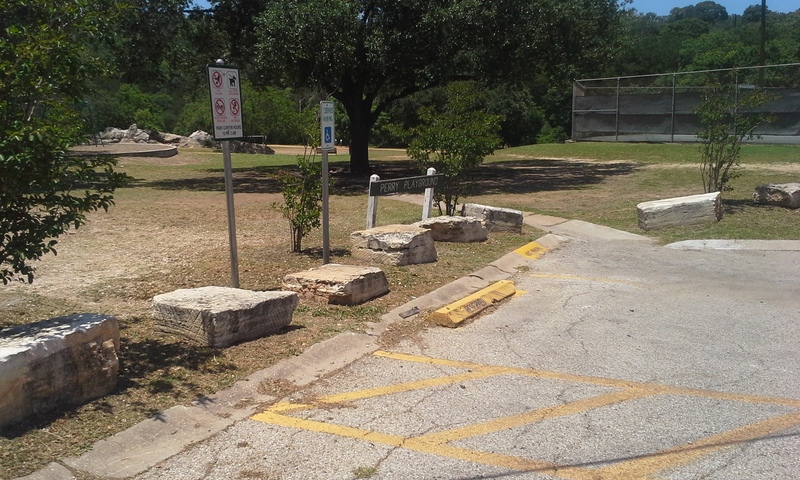 A split rail fence or a line of weathered limestone boulders is being considered. 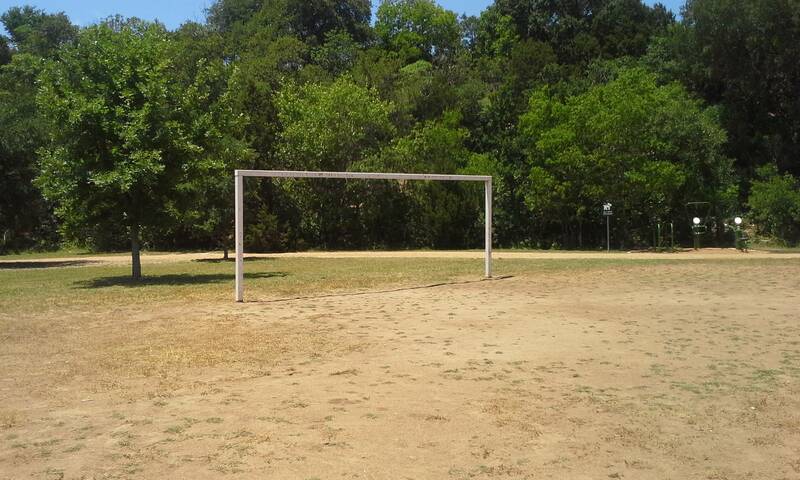 This would make a nice Eagle Scout project. Proposed Project: Perry Entrance Fence: We would like to better define the edge between the parking lot and Park entrance. More uniform stones or a wood rail fence are ideas being discussed. This line of rock actually resides on HPE property. 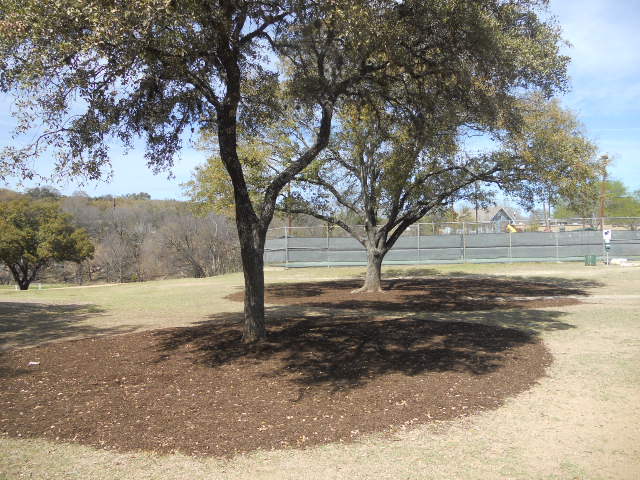 Entrance Oak Mulching: The two big oak trees at the parking lot entrance get lots of foot traffic. 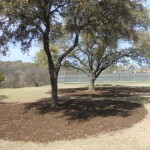 Regular mulching helps protect these trees. 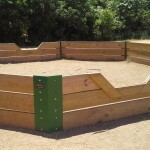 Dino Pit: In 2011 the sandbox was converted to a Discovery Dino Pit as an Eagle Scout project. It requires some ongoing maintenance such as adding sand. 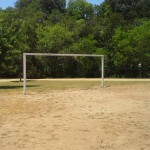 Goalposts at the soccer fields: Friends of Perry Park have painted these goalposts in the past. They really need to have the paint completely removed, a primer added and repainted. 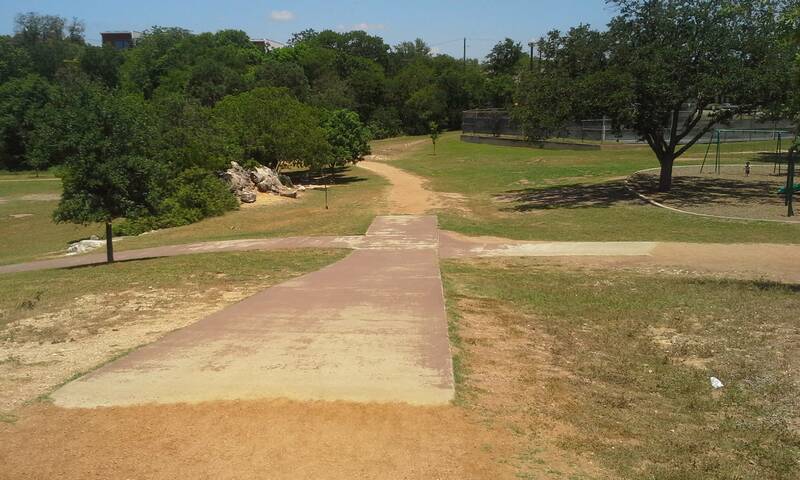 The Running Track: This track was constructed by the HPE PTA and PARD many years ago and sometime needs major work. The maintenance requires equipment and funds and we leave that discussion for HPE and PARD. 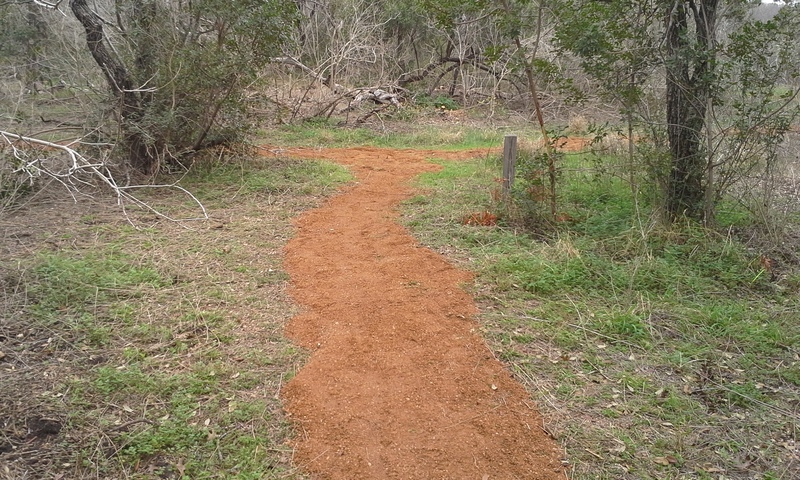 Friends of Perry Park helps only with small scale erosion type maintenance of the track. Approximately 2 1/4 figure 8 loops on the track make a mile. 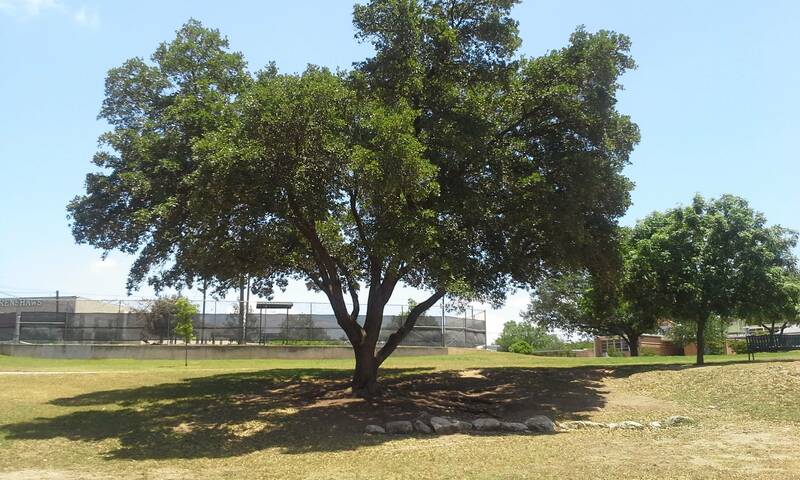 Heritage Oak: This is the big oak tree that overlooks the quarry. We keep it mulched as it is an important tree. 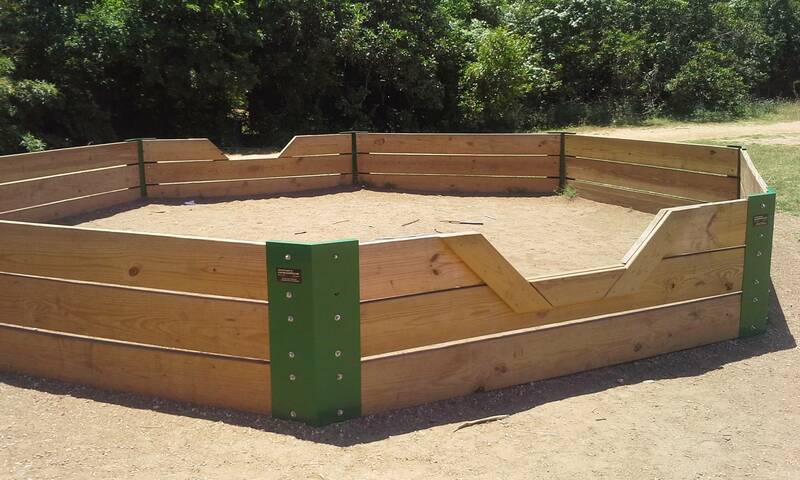 Gaga Pit: A Girl Scout Troop installed a Gaga Pit near the upper soccer field in 2013. It is very popular with the kids. 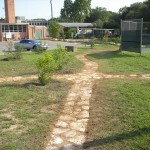 Stone Path from the stairs to tennis courts and parking lot. 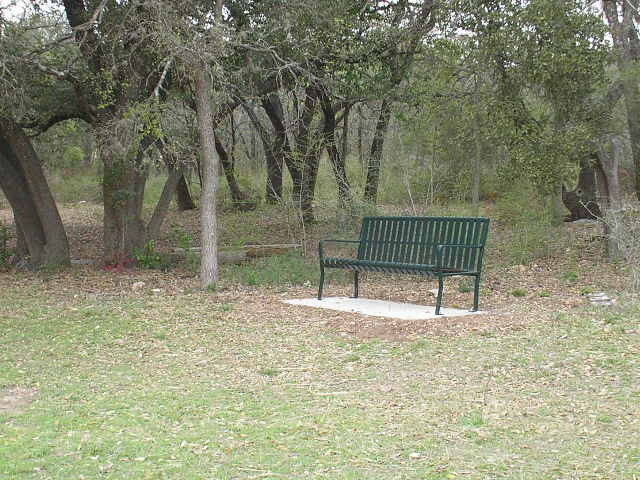 This was a 2007 Eagle Scout project. 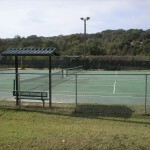 Tennis Court Shades: Two tennis shades were added in 2005. 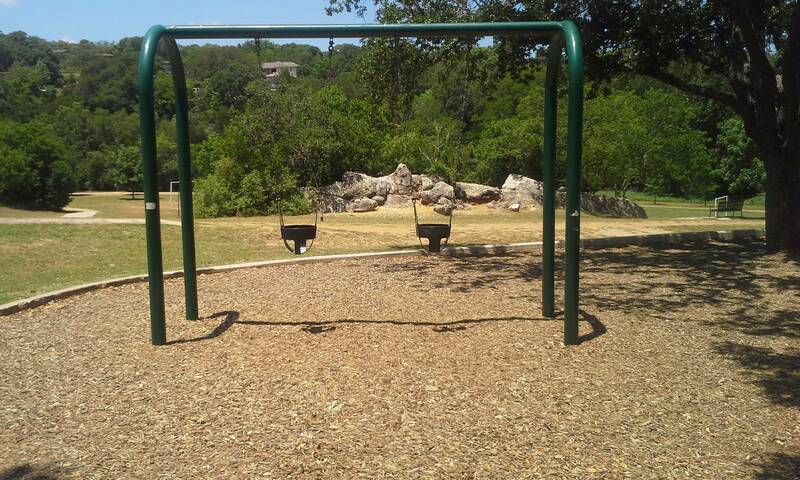 These were funded by a grant from Austin Parks Foundation. 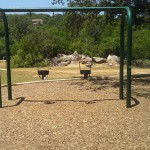 Bucket Swing Seats: Bucket swings were added to the lower playscape area back in 2009 by HPWBANA with a grant from Austin Parks Foundation. 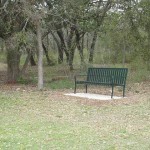 Benches: 4 benches were installed in various location back in 2006. 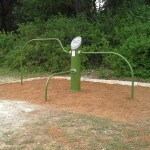 This was also from an Austin Parks Foundation Grant and HPWBANA. 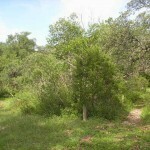 Non-native plant removal: There have been many large passes of non-native plant removal at Perry Park since early 2005. HPWBANA funded many of these efforts. 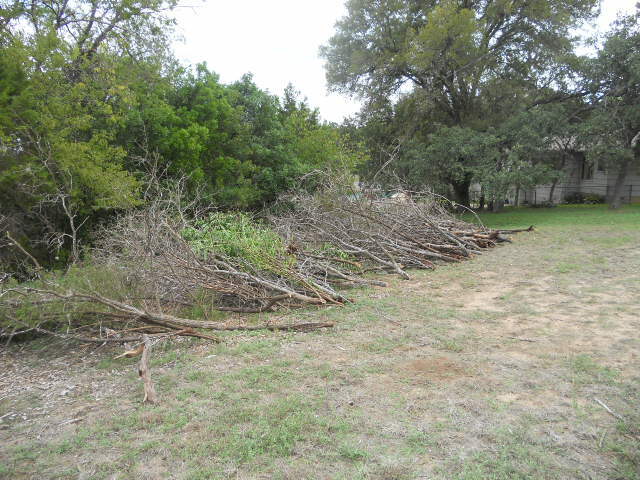 Huge amounts of ligustrum, bamboo, vines and dead wood were removed from the wooded area of the park and the park is much healthier. Native plants are growing and sprouting up throughout the park. 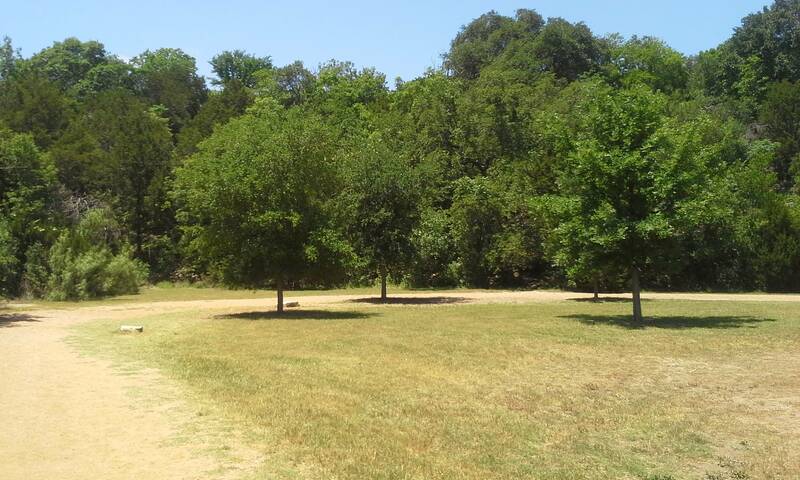 The PARD forestry department started removing the larger Chinaberry trees in the spring of 2011 and only a few remain in the park. There is a continued effort to remove invasive plant saplings. 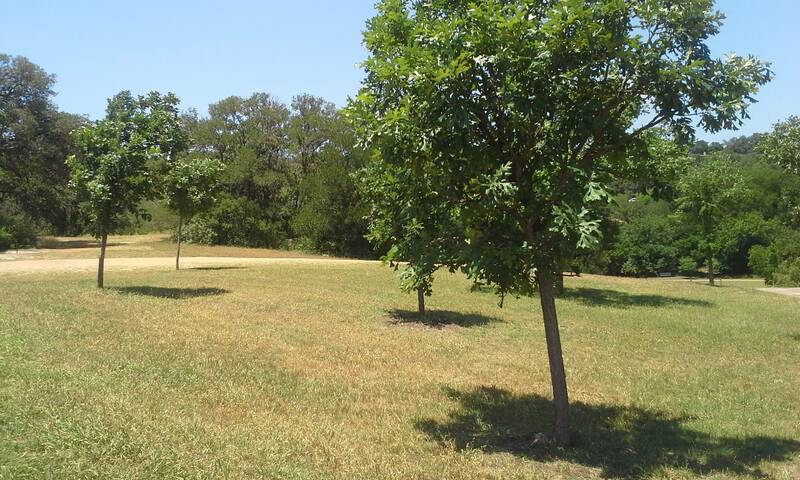 Tree Plantings: Invasive plant removal projects are paired with tree planting projects, and we have planted many trees at Perry Park. A large scale tree planting was completed in the spring of 2007 at Perry Park. The trees were provided by PARD as part of their tree replacement program and Perry Park was fortunate to have made the list. The HPWBANA and HP PTA worked with PARD to identify where the trees were planted and the type. Treefolks organized the workday and many residents joined in planting. 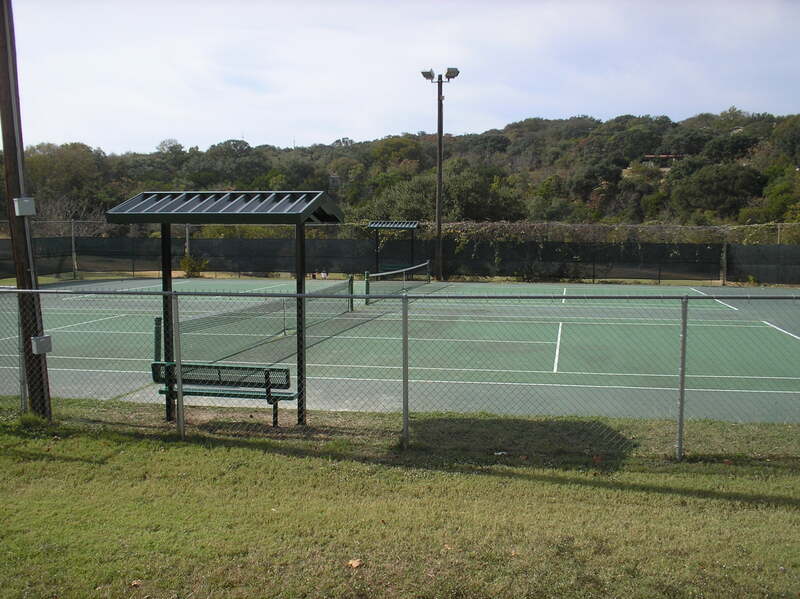 Areas include the park entrance, the quarry area, the fence near the soccer field and the sidewalk area on the Balcones side of the park. 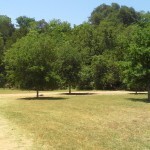 These 50-60 trees were seriously stressed during the drought/heat of 2009 and many didn’t survive. 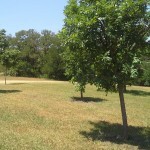 In the winter of 2011 another park wide tree planting occurred. Hundreds of bare root saplings were provided by PARD and Treefolks. 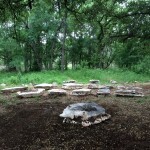 It was a great volunteer effort to help our local urban forest. Fire Mitigation Fire mitigation efforts started in 2012 as removal of dead cedar from Perry Park became a focus from the community. 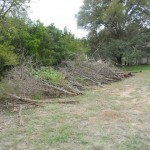 Eagle Scout projects, HPWBANA funded Texas Conservation Crews (American Youthworks), and many volunteers have removed enormous amounts of dead wood from the park. 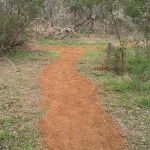 Most was chipped up and spread onto the trails. 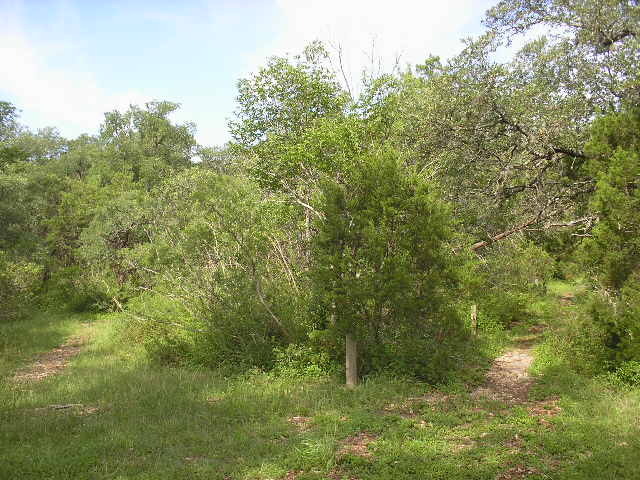 Bamboo: Also worth mentioning, back in 2005 part of the Perry Park wooded area was almost solid bamboo. Volunteers were successful in eradicating it, although we do still find it. Although much of the hard work is behind us we do monitor the forested area and continue to work with PARD to keep it healthy.